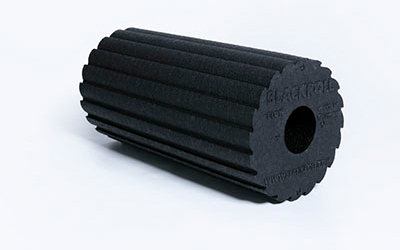 BLACKROLL® is the innovative force in the Self-Myofascial Release (SMR) market. The German manufactured BLACKROLL® product line is of the highest quality. Its products are designed to last long, repel water, resist odors and clean easily. BLACKROLL® products are designed with the consultation of medical professionals, athletes, and scientists to ensure effectiveness and quality. 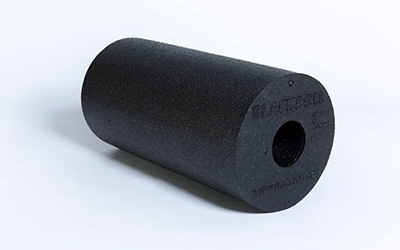 Use the BLACKROLL® BOOSTER alone or insert it into the center hole of a BLACKROLL® roller to give a more intense massage. 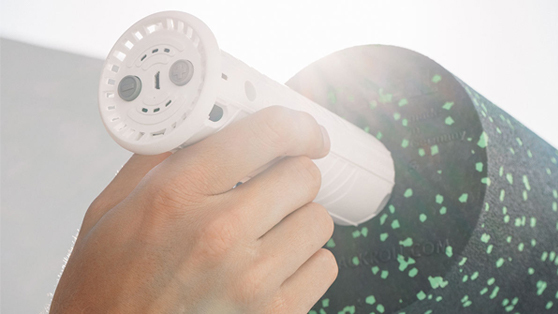 The BOOSTER uses unique Vibra Motion Technology that provides a deep massage effect. The full scale vibration frequency measures from 12 - 56 Hz with precise, continuous intensity control. This BOOSTER fits in all BLACKROLL® rollers 30 cm in length. The BLACKROLL® STANDARD has average hardness and is appropriate for all applications. 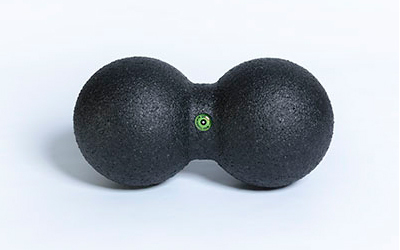 It is a functional tool for a self-myofascial-therapy. 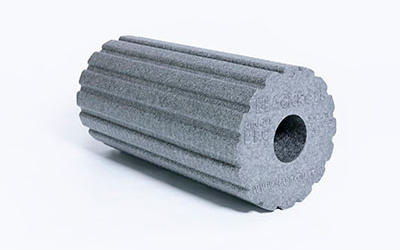 This foamroller promises 100% made in Germany, 100% green production and 100% regeneration. It is environmentally friendly as it is made using an energy-saving production process and it is free of propellants and chemicals. It is available in three colors and two sizes. 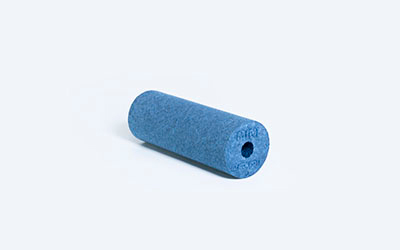 The BLACKROLL® MED is 20% softer than the STANDARD. 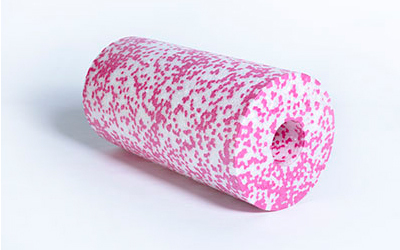 Perfect for those just beginning to foam roll and appropriate for a full-body massage. It is environmentally friendly as it is made using an energy-saving production process and it is free of propellants and chemicals. The BLACKROLL® PRO roller is 50% harder than the STANDARD. It offers the highest massage effect for more intensive practice. Recommended for athletes and individuals with a higher bodyweight. This roller is environmentally friendly as it is made using an energy-saving production process and it is free of propellants and chemicals. The BLACKROLL® GROOVE STANDARD has a rutted surface that creates a natural vibration. The grooves on the BLACKROLL® will slightly vibrate when rolled, which improves blood circulation. The standard version has an average hardness and is appropriate for all ground exercises. It offers a strong massage and helps treat and prevent cellulite. This roller is environmentally friendly as it is made using an energy-saving production process and it is free of propellants and chemicals. The BLACKROLL® FLOW has a revolutionary surface design that offers two different types of massages. One side offers a soft roll out of the fascia, while the other side is harder and provides an active stimulation. The BLACKROLL® FLOW vibrates without a trace of 'jumpiness'. This roller is environmentally friendly as it is made using an energy-saving production process and it is free of propellants and chemicals. The BLACKROLL® MINI rollers are perfect for traveling as they are small and lightweight. Use them for selective massages of feet, legs, arms, and other small body parts. They can also be used to connect two BLACKROLL® rollers to make one large roller. These rollers can be used on a tabletop, on the floor, or against a wall. Also, these roller are environmentally friendly as they are made using an energy-saving production process and they are free of propellants and chemicals. 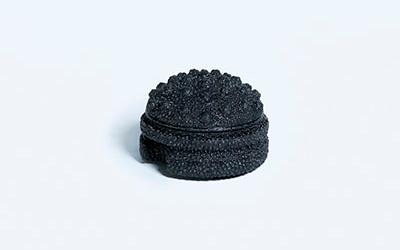 BLACKROLL® Balls are ideal for targeted self-massages on different areas of the body. They are perfect for targeting specific tight spots and massaging deeper-lying muscle groups. Use them on a table, on the floor or against a wall. 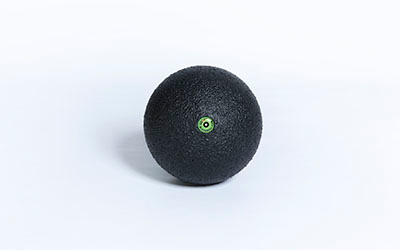 The German-made BLACKROLL® balls are environmentally friendly as they are made using an energy-saving production process and they are free of propellants and chemicals. 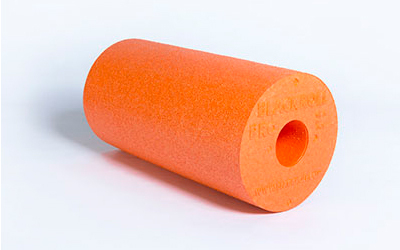 The BLACKROLL® BLOCK is a multipurpose tool. 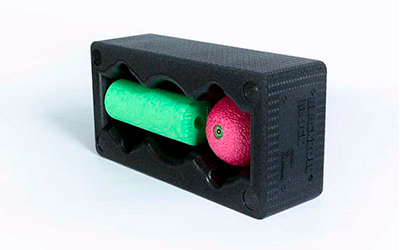 It serves as a self myofascial release tool, a yoga block, and as a storage unit for Duoball and BLACKROLL® balls. This BLOCK is environmentally friendly as it is made using an energy-saving production process and it is free of propellants and chemicals. The BLACKROLL® TWISTER does not only work with applying body weight to it but also allows the combination of pressure and twisting. The result: circulation rises, trigger bands and points are stimulated and the fascial tissue becomes well hydrated. The BLACKROLL® TWISTER has a studded surface and ergonomic curve to enhance targeted stimulation. For professional and at-home use. Ideal to use on shoulders, forearms, and more. The BLACKROLL® TWISTER is environmentally friendly as it is made using an energy-saving production process and it is free of propellants and chemicals. The BLACKROLL® Duoball allows for a targeted and effective massage of the spine, upper arms, deltoid, pectoralis, and calf muscles. Use by laying on the floor or against a wall. This product is ideal for use on the back. The space between the two balls allows for a targeted massage around the spine. The BLACKROLL® Duoball is environmentally friendly as it is made using an energy-saving production process and it is free of propellants and chemicals. 30-2870 - Duoball, Black, 6.3" x 3.2" x 3.2"
30-2880 - Duoball, Black, 10.6" x 4.7" x 4.7"